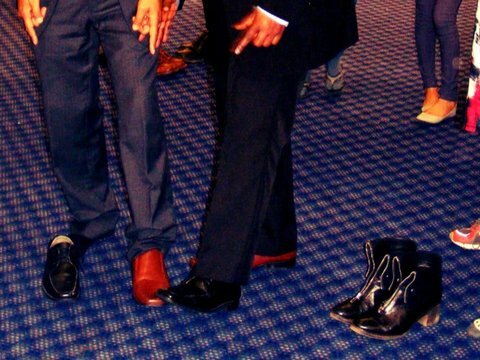 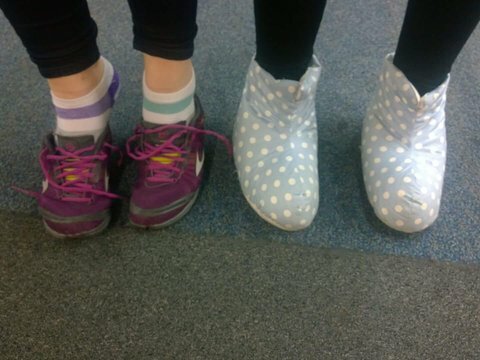 To join the Stand in their Shoes campaign, simply swap your shoes with a neighbour, colleague, classmate or friend. 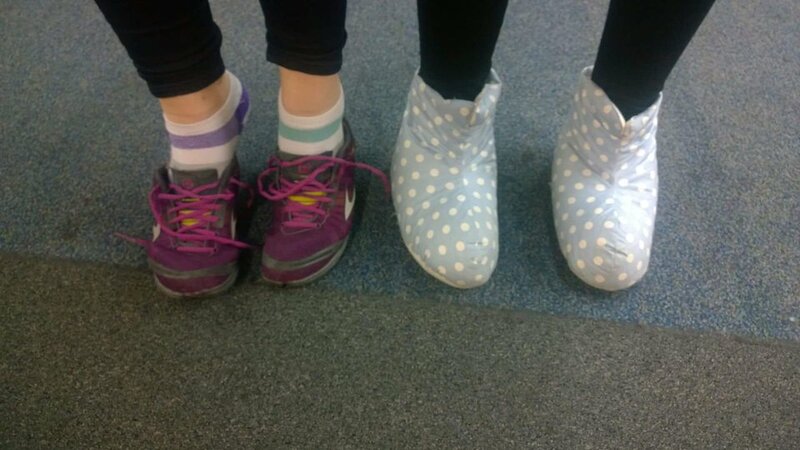 Take a moment to learn more about each other, and upload a photo to social media, using #standintheirshoes. 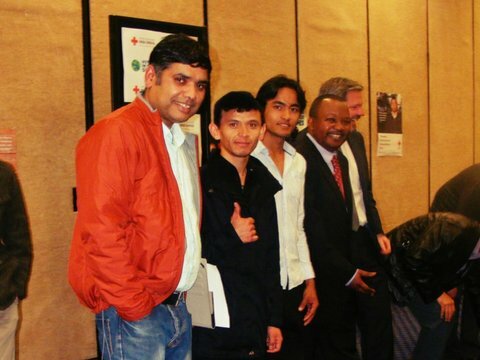 Click on each photo to read the story behind it. 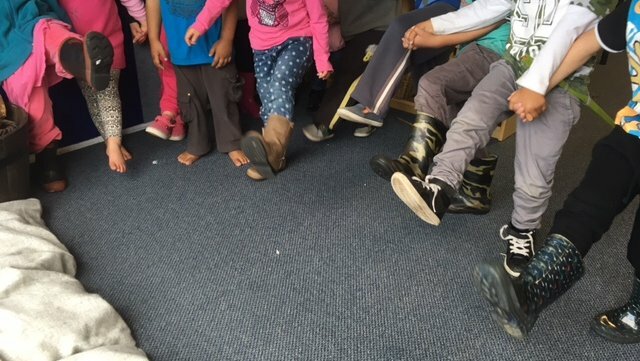 Kids from ABC Kawaha Point Pre School, in Bay of Plenty, are standing in someone else's shoes from a young age. 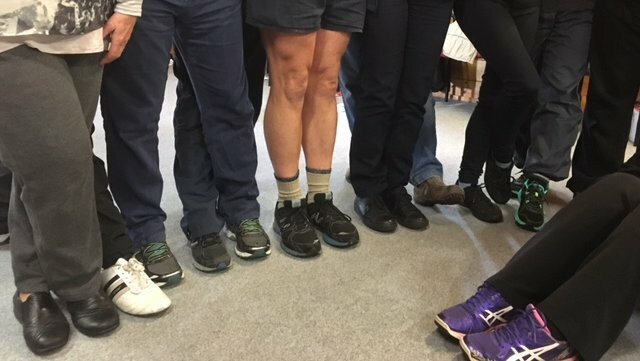 Our Bay of Plenty team are swapping shoes and celebrating cultures. 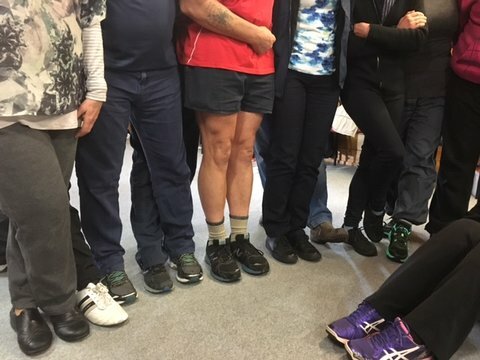 Bhutanese, Kiwi, Congolese and Afghan people all swapped shoes in Palmerston North to celebrate World Refugee Day. 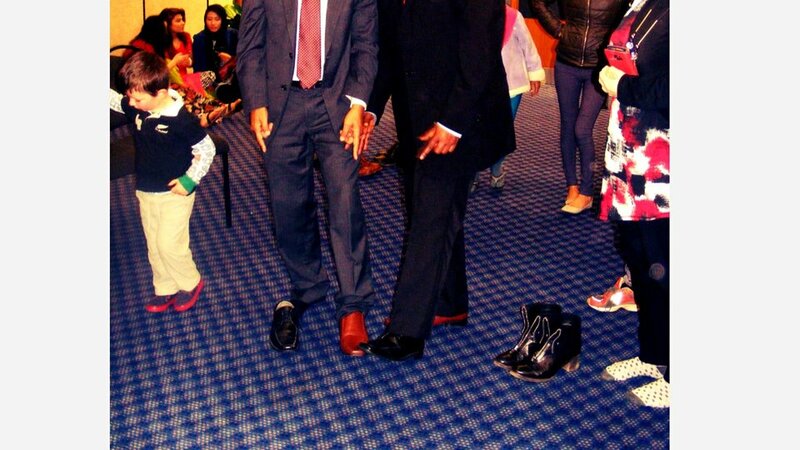 Om from Australia swapped shoes with Jean Christophe in Palmerston North to celebrate World Refugee Day. 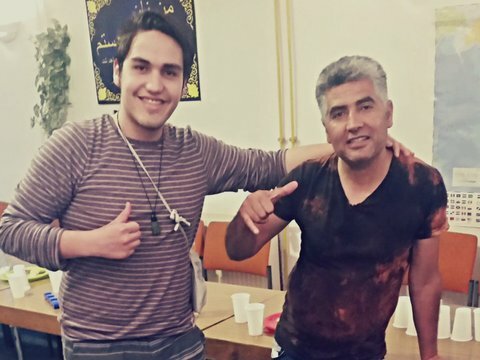 On his trip to Europe former refugee Daniel, who now calls New Zealand home, swapped shoes with Ahmed from Syria, who is living in a refugee camp. 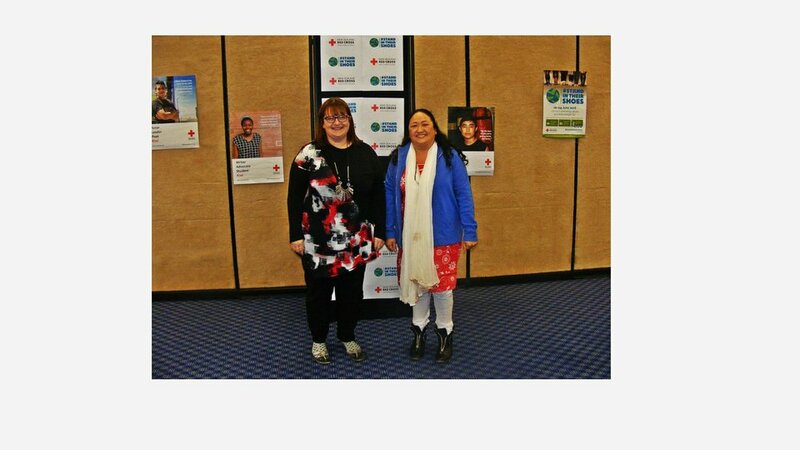 Lorna, Chair of Manawatu Refugee Reuniting Family Trust, swapped shoes with Lalita from the Bhutanese Community, during Palmerston North's World Refugee Day celebration. 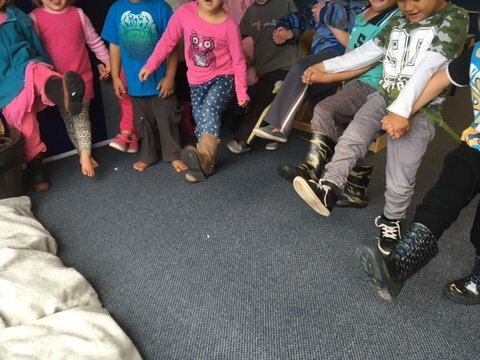 Jenni, a Kiwi currently in Greece helping refugees, gave her shoes away to a young man arriving in Europe. 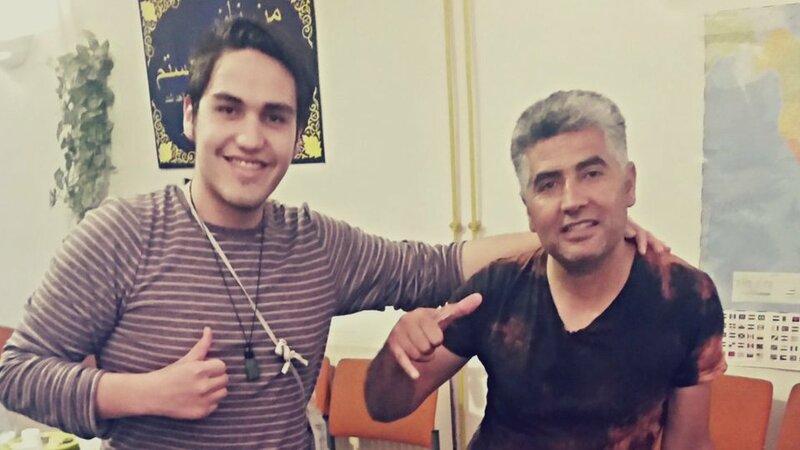 "He walked from Syria, through Turkey, boarded a rubber raft and I helped him from the raft onto Lesvos soil. 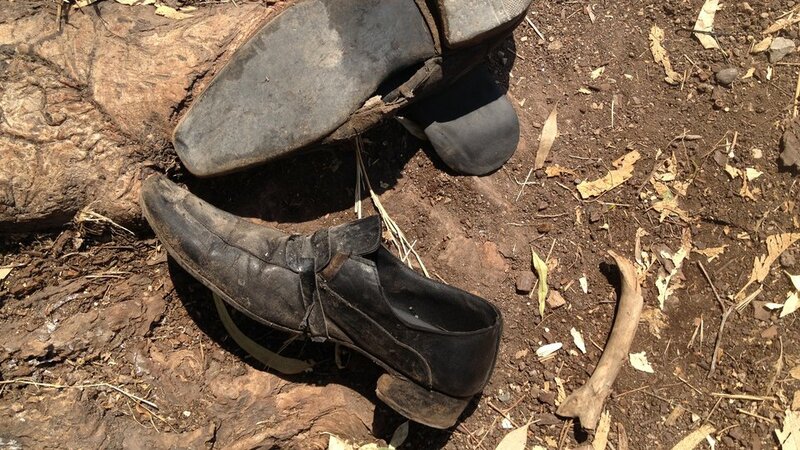 He could no longer walk in these shoes so I gave him a new pair to continue his journey across Greece and Europe, in hope of a better place. 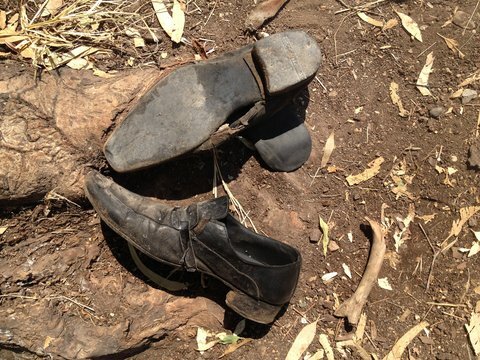 I am lucky to have been born in Aotearoa unlike the lovely man who owned these shoes." 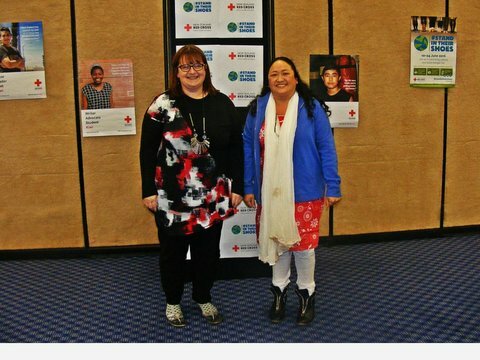 Catherine has lived in NZ for 10 years, and is about to become a fully-fledged Kiwi – her citizenship ceremony is in a few days time. 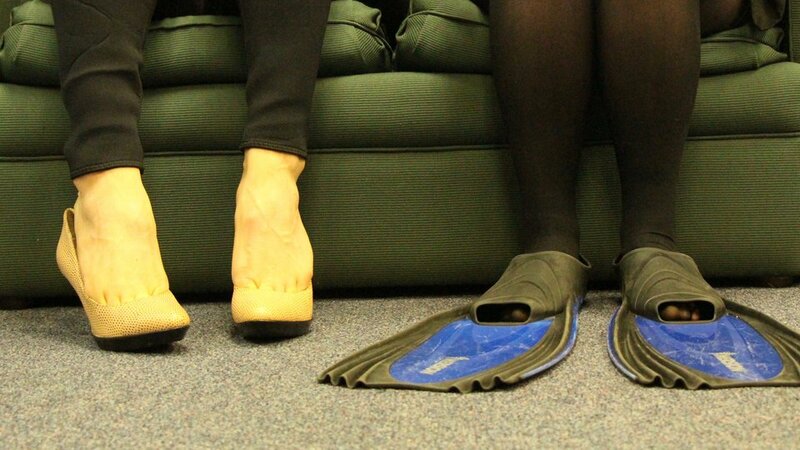 Although she says that English and Kiwi cultures have many similarities, she feels slightly more of a Kiwi than English. 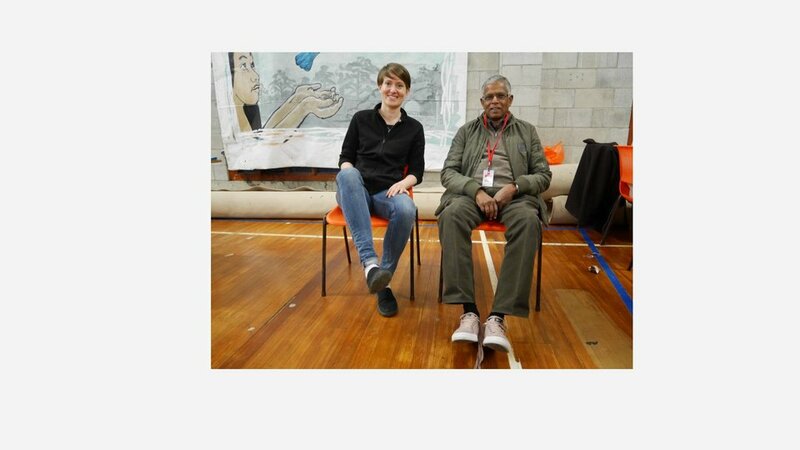 Saba migrated to NZ 20 years ago from Sri Lanka. 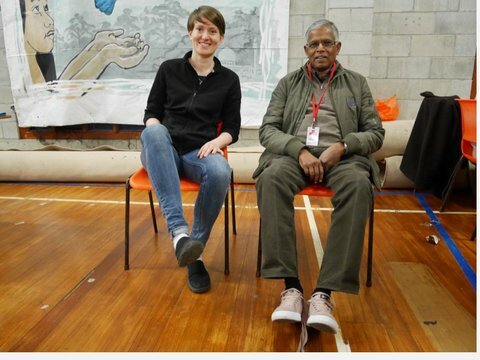 He found the transition from a predominantly Hindu and Buddhist society, to NZ, was helped by his English language skills – despite the initial struggle to understand Kiwi accents!